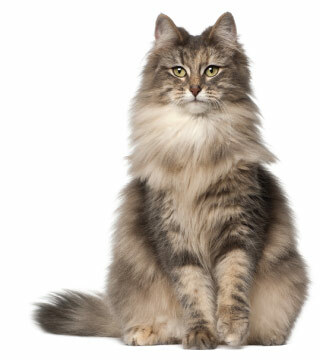 Our Valley West location has acheived the Cat Friendly Practice designation through the American Association for Feline Practitioners (AAFP), and the doctors and staff members at Elk Valley are also thoroughly trained in cat-friendly techniques. Whichever location you choose, you can be sure that your senior cat will receive elevated and quality care throughout the entire experience. During the visit with your veterinarian and their staff, you will review habits and behavior that may signal changes in health. This review will prompt you to think about what is going on with your cat and have a different perspective which may help in identifying signs of illness. In addition, your veterinarian will perform a physical exam which will play a significant role in determining where your cat is in the aging process and what can be done to keep it as healthy as possible for as long as possible. Throughout the whole visit, our doctors and staff will make sure your cat is comfortable by providing optimum feline care. At Valley West and Elk Valley Veterinary Hospitals, our compassionate and supportive veterinary team is here to help you in any way that is in the best interests of you and of your feline companion. We understand this is a very difficult time regardless of the situation. You have lived with your cat for a long time, you have a strong bond with your cat and the grief process is real and should be taken seriously. Please contact us for information about end of life services including grief support.